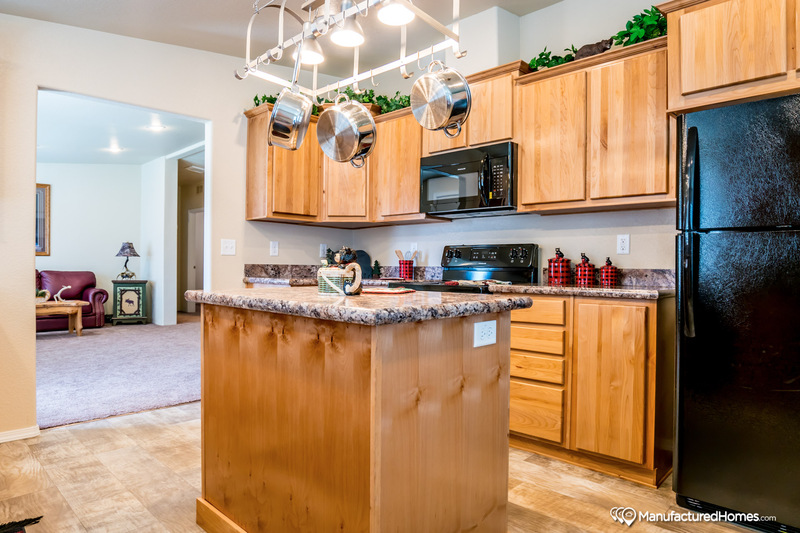 Peter’s Homes is a full-service manufactured home dealership and design center located in Post Falls, Idaho. We’re a fourth-generation, family-owned and operated retailer, and we’ve been helping folks achieve their dreams of homeownership via mobile and manufactured homes for over 45 years. Here, we build relationships that last for generations — we value our customers, commit fully to their success, and strive to serve all of their needs before, during, and after their purchase. At Peter’s Homes, you’ll find a wide variety of homes to choose from and a friendly, professional staff ready to share their knowledge of them with you. 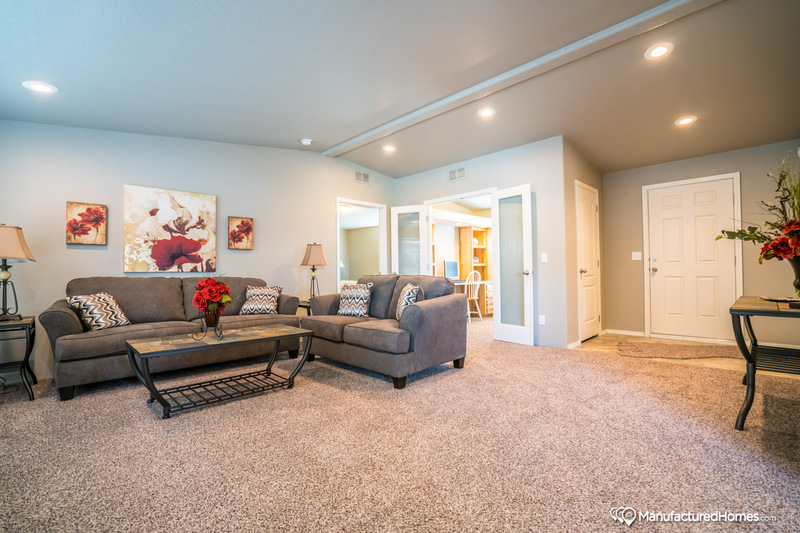 We carry homes from KIT Custom Homebuilders and Marlette Homes, Inland Northwest homebuilders with stellar, long-standing reputations for creating beautiful, high-quality prefab homes that are built to last. Our team at Peter’s Homes can show you through our inspiring inventory of furnished, decorated, and landscaped homes, or guide you through hundreds of floor plans to the one you love and help you customize it to fit your wants and needs. We’ll also assist you with financing, site preparation, delivery, and installation. Here at Peter’s Homes, it’s our goal to help you find a home you love and guide you through your home buying experience with attention, dedication, and care, from start to finish. Give us a call, send us an email, or stop by and see us today — we’re eager to meet you! 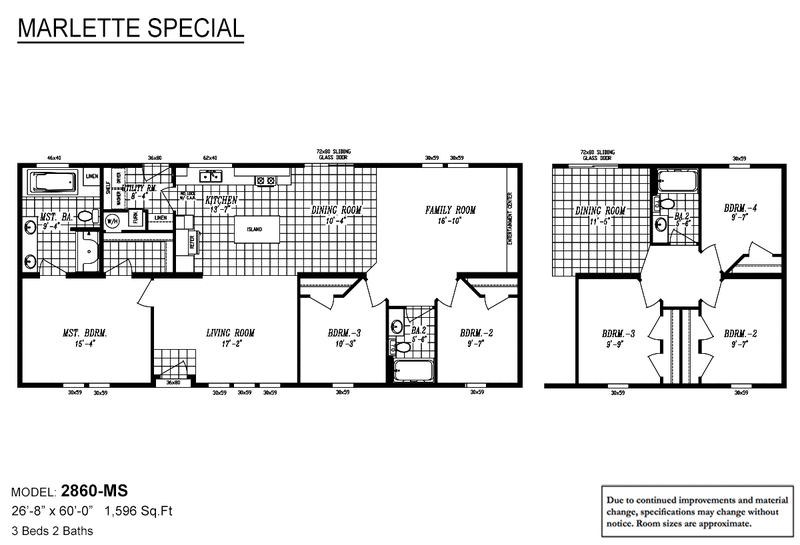 Pinehurst 2506 3 Bdr with an Activity Room or 4 Bdr/ 2 Bath / 2006 sqft - Home offers large utility room and activity room. In addition it provides 3 bedrooms and two bathrooms. 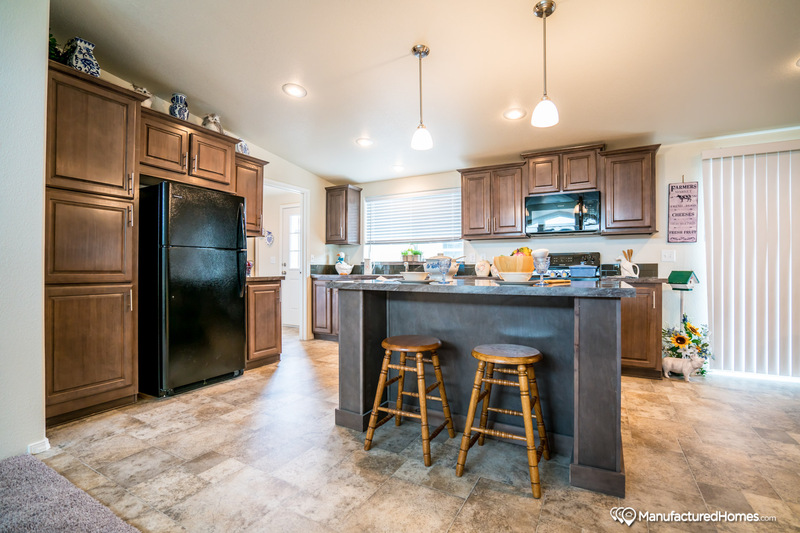 Kitchen has large island with raised snack bar and large walk in pantry. 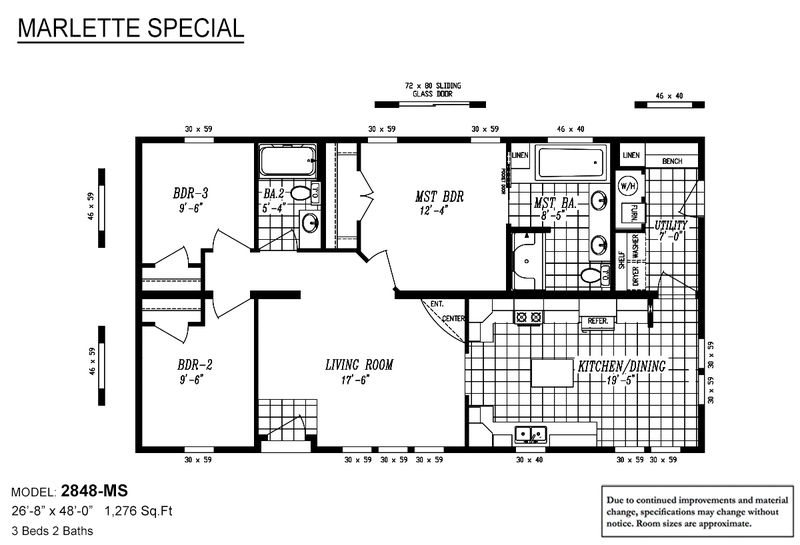 3 Bdr / 2 Bath / 2160 sqft. - Home has a large great room that you enter into coming off the side porch of the home. 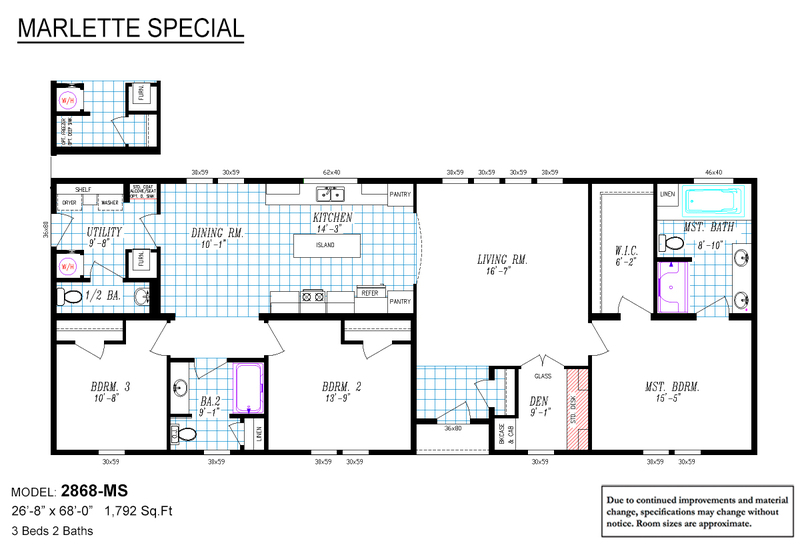 Three standard bedrooms with the option of converting the master bedroom retreat into a den or 4th bedroom. 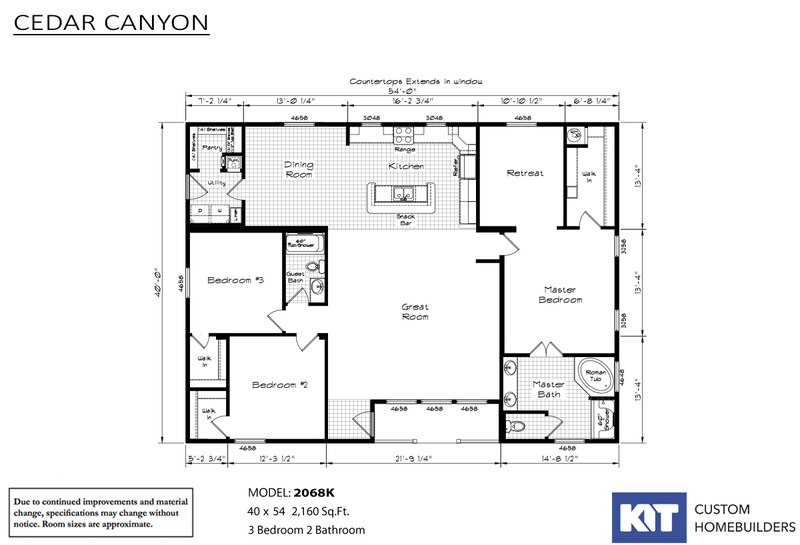 This Cedar Canyon 2068K is another example of the fine craftsmanship of KIT Custom Homebuilders. See your local KIT retailer for more information. All Cedar Canyon homes are available is the LS series. Peter's Homes commitment to its customers’ shopping experience and satisfaction is exemplified by our adoption of revolutionary, innovative 3D Virtual Home Tour technology. We invite every customer to step inside and experience it for themselves. As you browse our inventory of expertly built park models, keep an eye out for the “3D Tour” icon designation! Peter’s Homes has been helping folks purchase mobile and manufactured homes in Post Falls, Idaho for over 47 years. Since Peter Tibesar founded the dealership in 1972, we’ve seen the industry move from 8-foot-wide trailers to mobile homes, and on to today’s modern manufactured homes. Now in our fourth generation of family ownership, it’s our goal to remain Idaho and Washington’s go-to destination for beautiful, affordable factory-built homes. We invite you to come experience everything our retail sales center has to offer — including the region’s largest collection of furnished, decorated, and landscaped display homes from local builders KIT Custom Homebuilders and Marlette Homes. WANT TO GET IN TOUCH? CALL US AT (208) 773-7112! Over the years, Peter’s Homes has built an outstanding reputation for commitment to our customers’ satisfaction. We’re committed to providing homebuyers with a stress-free, engaging, and exciting home buying experience. When you shop with us, we’ll apply our knowledge and experience to guide you comfortably through every step of the process. We’ll discuss your unique wants and needs for your new home, guide you to a floor plan, design features, and custom options that meet those needs, and help you customize it to fit your personal taste, style, and budget. 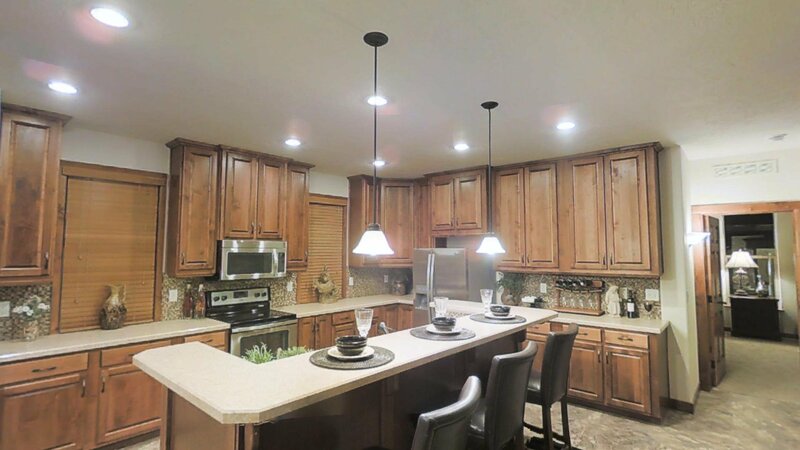 Peter’s Homes proudly offers one of the largest inventories of homes from KIT Custom Homebuilders and Marlette Homes in the Inland Northwest. 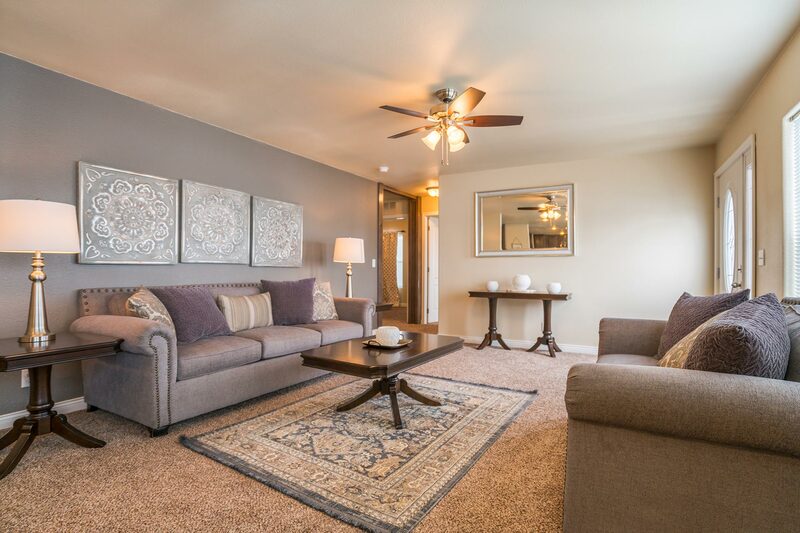 What’s more, each of our inventory homes is landscaped, furnished, decorated, and placed in a neighborhood-like setting with street lights and sidewalks. Taking you and your family on a stroll through this inspiring environment is just a small part of the experience Peter’s Homes has to offer. Come visit us and you’ll quickly see why we’ve been named “National Retailer of The Year” three times by the Manufactured Housing Institute! When you shop with Peter’s Homes, your new home doesn’t have to be a “cookie cutter” home — in fact, the majority of the homes we order are customized by their buyers. While we do carry a few homes that don’t allow structural changes due to sensitive pricing, we’ll never pressure you to buy a home with no input from you or consideration for your wants and needs. In fact, we love this part of the process — designing and customizing your new home is one of the defining aspects of modern factory-built homes! At Peter’s Homes, we specialize in helping you through this exciting and engaging process. The majority of homes that we sell are custom built, with the client in control of the floor plan choices, unique design elements, and custom options. Whether you’d like to move a window or a door, or add an entire room, it’s our pleasure to discuss your needs with you and discover how we can meet them. Let Joelle & Eric, our experienced team of sales specialists, help you design your home today and make your home-buying wish come true. It’s our endeavor at Peter’s Homes to make your home buying experience as easy as we can while ensuring your housing dollars are invested wisely. Be careful when dealing with a company that wishes to “do it all” for you. They may price the home lower, but then overcharge you for site work, utility connections, or other parts of the process. At Peter’s Homes, we recommend that you shop for your home, shop for its financing, and shop for a licensed, qualified site contractor to perform site and utility work. Approaching the home buying process in this way keeps everyone honest! Buying a home may be one of the largest and most significant purchases you will ever make. It will take a little time, and you’ll have the opportunity to make a lot of choices. Here at Peter’s Homes, it’s our mission to provide you with a space where you can get comfortable, relax, and be at ease during the process. We take you and your investment seriously, and we believe in treating our customers with care, dignity, and respect. Purchasing our new mobile home and working with Eric on its design was such a pleasure! Peter’s held our hands while we selected the model and all of its components including the flooring, cabinetry, tile and floor plan. Would definitely buy from them again. Thanks Eric and Joelle! Peter’s Homes has served the Idaho Panhandle and Central and Eastern Washington since 1972 as the region’s go-to manufactured home retailer. Now in our fourth generation of family ownership, we’ve built our business upon the goal of helping folks achieve their dreams of homeownership. We continue to strive toward that goal each day, by seeking out quality, affordable homes to offer and dedicating ourselves to every customer’s success. With a wide selection of factory-built homes to choose from, design, and customize, we can help you find your dream home — and our experienced staff has the knowledge it takes to guide you through your home buying process comfortably and efficiently.